What’s a nasty headline like the one above – which comes from the great WaylonJennings song, so don’t blame that spelling on me – doing at a chipper, upbeat blog like this? I’m here to mark the release of Shotgun Lullaby, the third Conway Sax novel (as always, I’m grateful to the Reds for letting me drop by!). But as it happens, I just sent the fourth Conway book to my editor. And despite my traditional reward of a pint of Ben & Jerry’s Phish Food, submitting a manuscript always makes me lonesome, on’ry and mean. Not to mention mad at myself. Because I fall for it every doggone time. I fall for the idea, the promise I promised myself eight months ago when I began, that once I turned in the manuscript, all would be right with the world. My shoulder blades would unlock. I would sleep through the night. Thoughts about lazy scenes and incomplete arcs would cease to nag me. The reward for finishing a novel, I unfailingly persuade my gullible self, is to unwind and smell the roses and laze in the sun. But it doesn’t work that way. Not for me. Instead, I rattle around the house looking for things to do, for little projects that make me feel (falsely) that I’ve had a productive day. Sure, a few long-neglected honey-dos get addressed. And I always seem to start a short story built from outtakes (before deciding the outtakes are outtakes for good reason). Mostly, though, I’m unfocused and unsatisfied. Lonesome, on’ry and mean. Which is because, I finally realize (too late! Fooled again! ), the kicking back is not the reward for the work. The work itself is the reward, the good time, the payoff. As to those tight shoulder blades, that insomnia, those 2:00am Post-It notes that make no sense at 8:00am? Well, they’re just little tolls you pay for being a writer. Here’s the question: How do you feel when you finish a major project, book or otherwise? Am I alone in my cranky reaction? Or is this letdown a universal reaction? Bonus points if you can find another country song that perfectly sums up your answer! 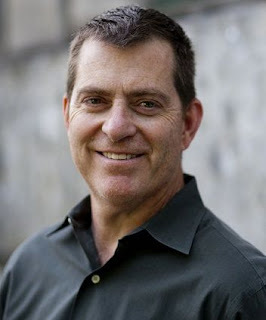 Steve Ulfelder is the Edgar-nominated author of the hardboiled Conway Sax mystery series. Of Shotgun Lullaby, the latest novel, Booklist writes: “Dennis Lehane and Robert B. Parker fans will enjoy Ulfelder.” Steve is also co-owner of Flatout Motorsports, a Massachusetts company that builds race cars. DEBORAH CROMBIE: Steve, I am so with you. I call it the "postpartum blues." Of course you're thrilled to have finished the damned book, but... when you've lived in a story, and with those characters, for six or eight months or a year, it's like letting go a big chunk of yourself. But I give up on the country song. Waylon is hard to beat. REDS? READERS? Have a go! Hi Steve, Debs. Maybe not country but feels like country to me. So here you go. Mamas Don't Let Your Babies Grow Up To Be Writers! #JustSayin... #LuvThatSteve! The Outlaws ride on! Yes, I feel the same way! And am scoreless on the song. But congratulations, Steve, on your ongoing series. I loved your first book and this reminds me to get to the next two. Steve, we're not always chipper and upbeat--are we?? Loved your post as always and looking forward to the book. And also looking forward to being finished with current WIP because I'm a little panicky about how it will happen:). And please tell us more about the new book! "I'm so miserable without you, it's like having you here." Kristi: That's a top notch, AAA-rated line. Some JRW should give you a book. Who wrote it? Roberta - I love Miss Emmylou and "Too Far Gone"! 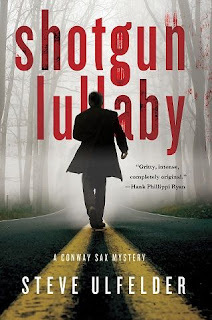 In SHOTGUN LULLABY, Conway Sax takes under his wing a recovering drug abuser who reminds him of his own son - a son Conway abandoned when he was a drunk. When this young protege is the intended target of a brutal triple-murder in a Framingham, MA, halfway house, Conway decides to investigate. Before you know it, the protege's nouveau-riche father, the Springfield Mafia, and a Houston con man are suspects. I will add, with not a trace of modesty, that the book got a starred review at PW and that Booklist says "Dennis Lehane and Robert B. Parker fans will enjoy Ulfelder." I'm going to follow Jack's lead, but be more succinct: Patsy Cline, "Crazy." Oh, wait, that's every stage of the writing process! Congratulations on the release and the submission, Steve! Hi, Steve and Debs! I think "adrift" best sums up the way I feel when I finish a book. As for song lyrics, I don't know much country music, so I'll have to go to rock music for mine. Congrats on the new book, Steve! I'm looking forward to reading it. Jack Getze, I'm not sure... even "The Google" does not pop forth with a definitive answer! Billy Ray Cyrus has covered it and may have written a version, while someone named Mike Haduck is shown a similarly-titled song in Denmark in a YouTube clip. It does sound like the title of a Sharyn McCrumb novel, though. I'll go with the Beatles! Hey old man will you read my book? It took me years to write, will you take a look? It's a steady job, and I want to be a paperback writer...PAPERBACK WRITER! Oh yes, Hank! Paperback Writer is perfect! Oh yeah, Hank, that's my tune! Steve, what are you working on now, besides organizing the linen closet?? ANd this--one of the few songs for which I welcome the earworm! The last time I turned in a book I found myself at the dentist with jaw pain. He said I've been grinding your teeth? my dentist wanted to know. He says he sees it most often among students after exams. Makes sense. "Carry on, carry on, what don't kill us makes us strong." Linda, love the Joni Mitchell. I so missed my characters from my first novel (which I'd thought was a standalone) that I started writing a second that featured them. Congratulations on the release and the completion of the next one, Steve, from another NER SCCA member. I was Chief Starter and Chief of T&S over the years. As a reader, I feel so lonely when I finish a book, especially if it's a long one. I think I go through withdrawal. My husband says I sulk but I don't always believe him. I become desperate for the next adventure into which I can jump. I'm so thankful for the wonderful books you all work so hard for us to enjoy. Oh Hank. Paperback Writer is my ringtone! In all my years in undergrad school, I always had the last final, 8:30am on Friday. It always was some sort of horrible essay exam too. When I was finished, I'd hand in my blue book (egad, I'm dating myself aren't I?) and I'd SING at the top or my voice "I'm Done, I'm done, I"m done I'm done I'm done" to the opening bars of Mozart "A Little Night Music"
Take my love with you. I’ll be your talisman. I’ll be your lucky charm. Put it in your pocket. Put it in your heart. That in your weakness, baby, just let it help you along.